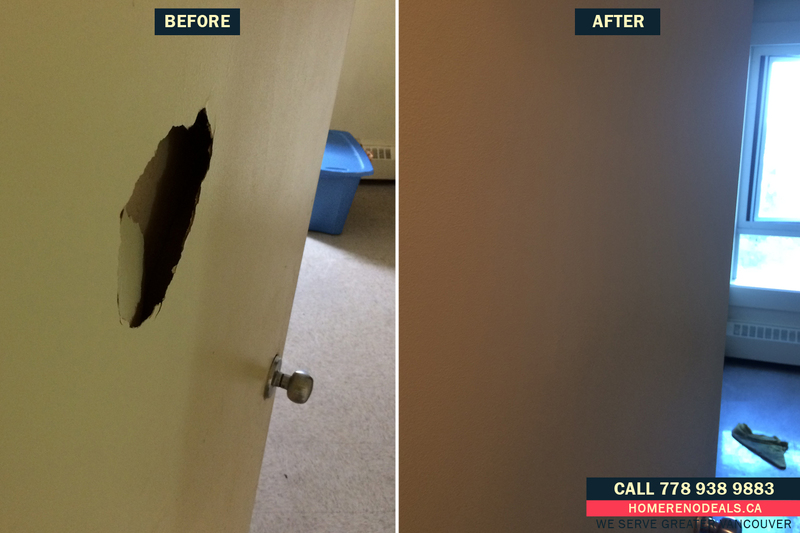 We will fix holes in your closet, living room, den, kitchen, bedroom, bathroom and any other other hollow doors FASTER and CHEAPER anywhere in the Greater Vancouver, BC. In this example a tenant punched hole in the hollow door before moving out. And this is how the door looks like after repairs.